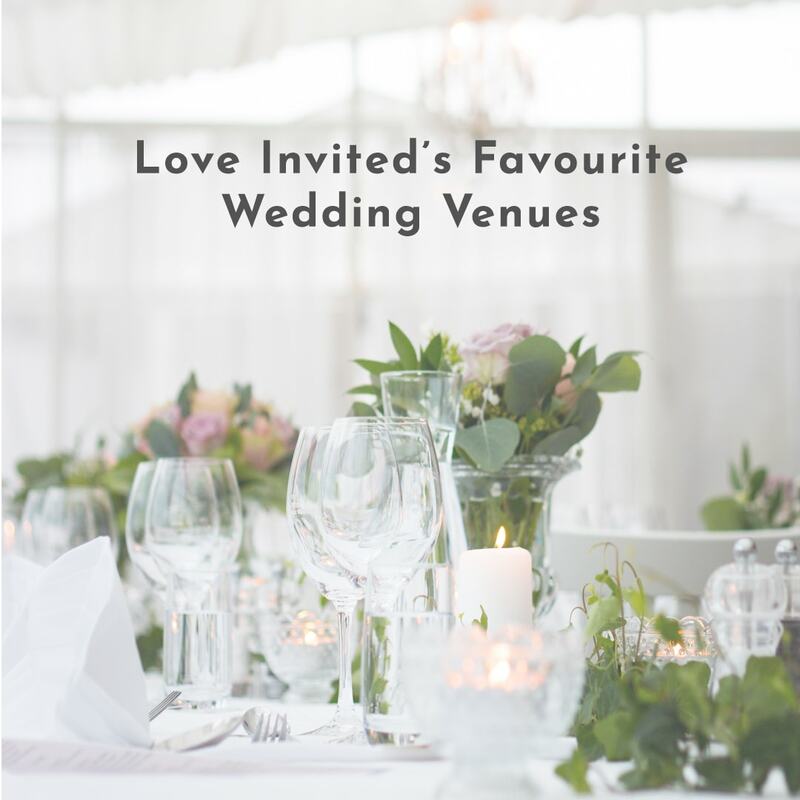 Working with so many lovely couples means we also find out about a lot of different venues and come across some which we instantly fall in love with! There are so many wedding venues out there, all with features perfect for different couples. We thought we would round up a few of our favourites and show you the stationery we designed to go alongside each one. We love this wedding venue for it’s rustic charms and unique concept. Based on a working farm, the barn venue offers a countryside charm and even boasts a bridal prep room! Charlotte & Jonathan, who we met at the National Wedding Show, Manchester chose their stationery from the ‘Country Rustic’ collection. They had a full range of stationery from save the dates all the way through to place cards and table plans, ensuring the theme ran throughout every piece. If your looking for a traditional country house for your venue then look no further than Eaves Hall. Situated in Ribble Valley, you can choose between beautiful gardens or luxury interior rooms to host your wedding. To compliment this grand, elegant space the lovely couple David & Samantha opted for our ‘Art Deco’ collection to set the tone for their big day. 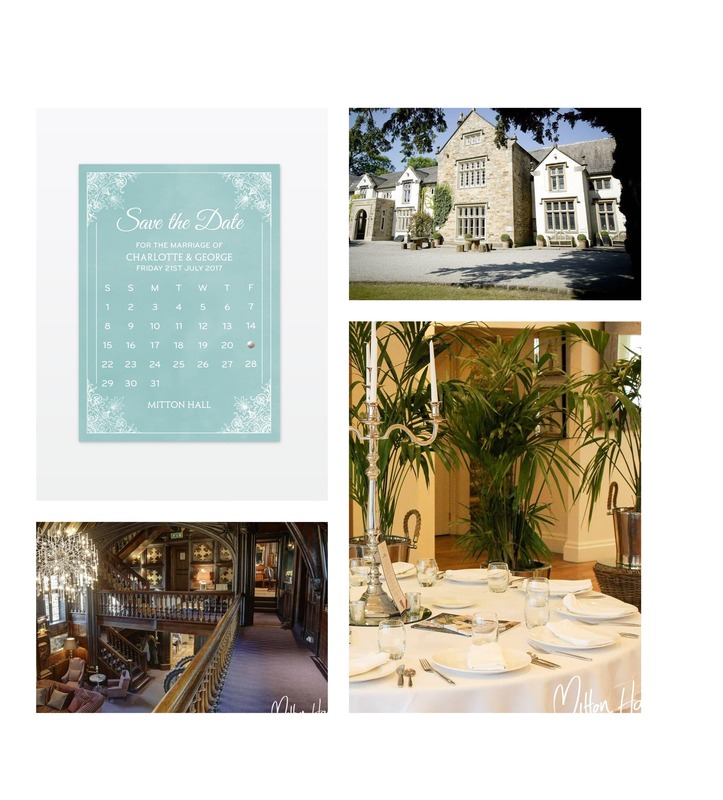 Described as having the ‘charm of a stately home, yet with the intimacy of a rural bolt-hole’, Mitton Hall has some beautiful features for a wedding. The venue also offers a conservatory with riverside views which will be a perfect spot for your photographs. With Mitton Hall boasting beautiful, romantic features our ‘Vintage Chic’ collection fit in perfectly for Charlotte & George’s wedding. Looking for something a little more urban? 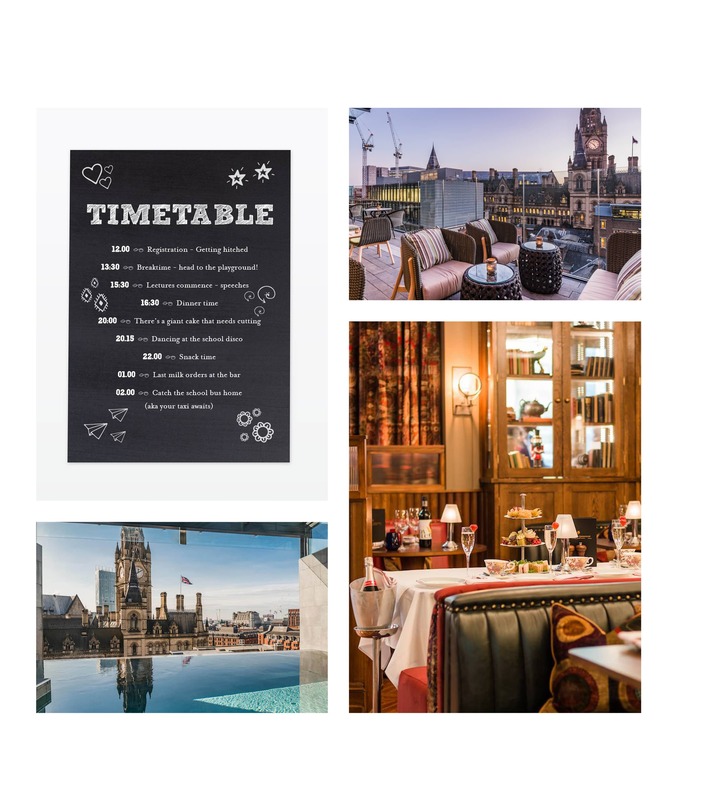 The Great John Street Hotel is situated in Manchester city centre and offers various different areas which are a perfect fit for a wedding. What was once a victorian school house is now a luxury townhouse hotel boasting elegant rooms, a rooftop bar and ‘playground’. 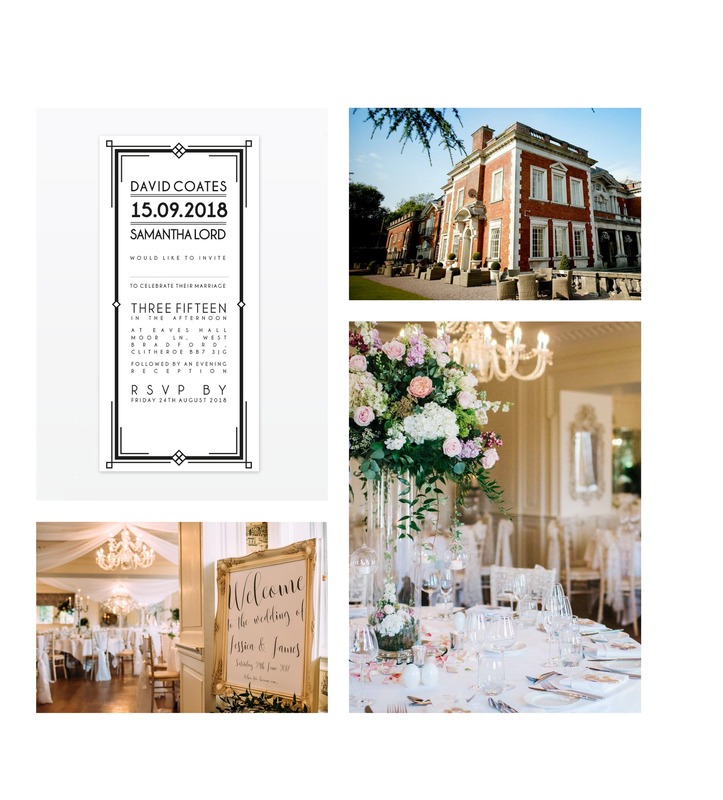 We worked with Tamara & Michael, on their wedding stationery who opted for a chalkboard/school theme to fit in with the old victorian school venue. This meant the history of the venue teamed with the creative stationery design suited their theme completely. 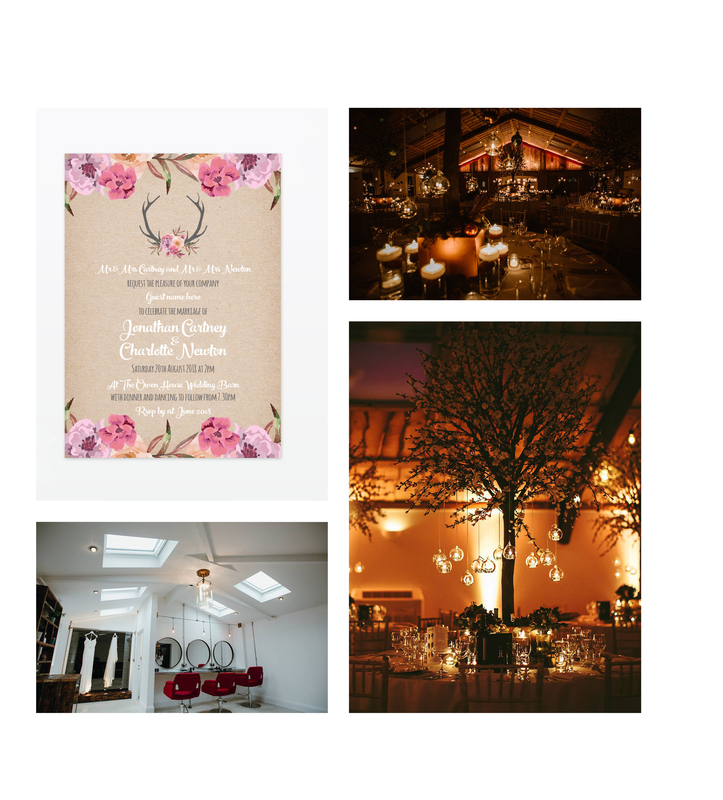 Whether you have found your perfect venue and want the stationery to match, or even if you need inspiration and ideas- we are more than happy to help. Get in touch with us here to see how we can help.